Home Development Keeping Afloat with CRM System Requirements for Dynamics CRM 4 people are discussing this now. Do you remember the last time you went boating? Chances are that it was an enjoyable experience. Maybe you are the captain of your own boat or you’re one of the lucky few who have a friend who is. Imagine that you are in the market for a boat of your own. The first step is to determine what type is going to best suit your needs. Would a later model meet your needs until you are able to upgrade? How soon until you need to upgrade? CRM is the same. Microsoft has a list of product support dates for Dynamics CRM. 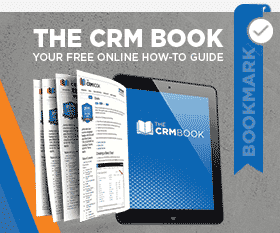 Once you’ve decided which CRM platform works best, you’ll want to make sure that you’re prepared for the implementation. Fishing was fun, but now you are ready for something a little more robust; powerful and sleek. Up until this point your small truck and two-wheel trailer met your needs; however, your next purchase is going to be quite substantial and will be too large for your current configuration to withstand. What good is a boat if you can’t tow it to water? This same logic applies to CRM. The systems and applications supporting your instance of CRM need to be considered before upgrading to a new version. There are many considerations to be made when choosing to implement an instance of Dynamics CRM. Understanding the Microsoft product support model will safeguard your products by providing the most recent updates and patches as well as ensuring that they receive the greatest possible longevity. Visit our blog for information regarding your specific version of CRM, guides on upgrading to newer versions and much more! by Joe D365	November 12, 2014 4 people are discussing this now.